Medical marijuana being grown in the U.S. has done little to slow the appetite for Mexican marijuana, according to a report in the San Francisco Chronicle. Our medical marijuana defense lawyers in San Bernardino and Orange counties continue to report on the struggles faced by the legitimate marijuana trade in Southern California. In the 15 years since voters legalized medical marijuana in California, Mexican pot has become less popular. But the crop still earns drug cartels an estimated $2 billion a year. California’s estimated 1,700 dispensaries service 400,000 customers, putting it ahead of other states that have legalized marijuana for medical purposes. Still, Mexican cartels derive as much as one-fourth of their income from marijuana sales. And the amount seized along the Southwest Border has jumped nearly 50 percent in the last 5 years. The Drug Enforcement Administration reports domestic marijuana sales have more than doubled in the last five years, while the sale of Mexican marijuana has increased about 60 percent. 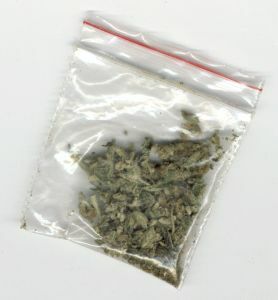 However, the agency acknowledged most of the marijuana sold in Los Angeles and the Bay Area is domestically produced. That would seem to suggest that the crackdown on legal medical marijuana could result in further enriching the violent cartels in charge of the illegal trade.